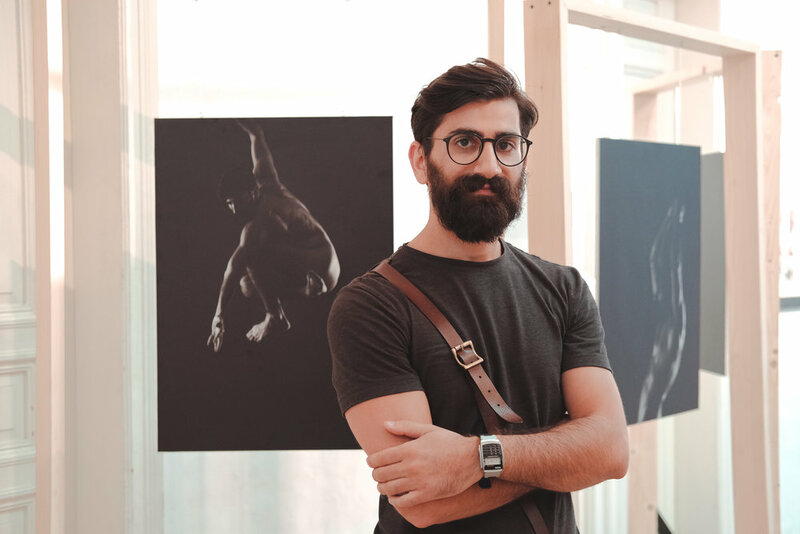 Beirut Art Salon is a community of pioneering artists and art admirers, bringing people together from across the country to ensure that art has a valuable presence in Beirut. We work to give local artists a platform to set their first steps into the professional world and to harvest the best of their talents, unique art and inspiration catering to all art-loving tastes. 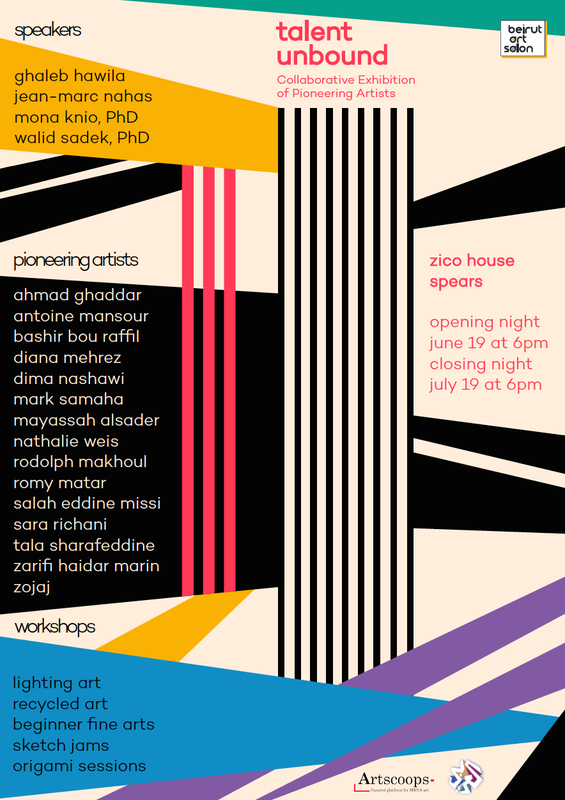 The artwork of emerging Lebanese artists is currently being exhibited at our salon in Zico House, “Talent Unbound”. We are thoroughly happy for the tremendous success of our opening night on June 19th and look forward to sharing with you professional coverage that is to be available online this weekend. We hope to see more art lovers throughout the month of the exhibition which features highly talented emerging artists from Lebanon, talks and workshops by established artists about their secrets and successes, and networking events with art enthusiasts, artists, and art collectors. You can book a tour for your next visit at a preferred time outside of the regular opening hours by filling this form. Thank you! We will get back to you as soon as possible to confirm the tour. Beirut Art Salon is an innovative social enterprise that uses community spaces to allow talented pioneering artists to exhibit their work for free, give open talks about various themes in art, and allow the public to enjoy low-rate workshops on different interesting methods in art. We had a very successful launch in AltCity’s past location in Manhattan Hamra during December 2015. Throughout that month we were able to attract 850 attendees to see the exhibited work, attend various talks, and take up classes with some of these pioneering artists. Beirut Art Salon also collaborated on an exhibition in AUB Outdoors in 2016, and helped organize an art competition by the Lebanese Oil and Gas Initiative in 2016. Important to Beirut Art Salon’s mission is bridging the gap between the lack of exposure and investment artists get. and allow a big portion of the public to enjoy their work as well. the Lebanese art world with BAS!" are now working on projects together." to share insights and form meaningful relationships." A believer in the potential of social entrepreneurship to shift mindsets and capabilities of both entrepreneurs and communities, Ali has dedicated his early career to strategy, research, and supporting youth-led ventures. He is an active member of NEXUS MENA & Arab Diasporas, working to expand their strategic mandate across the Middle East and North Africa. An analyst at The Zovighian Partnership, Ali focuses on the social and organizational elements that shape the capacities of impact enterprises. Ali founded the Beirut Art Salon. He is also currently establishing a youth-led institute in the American University of Beirut to push a curriculum of leadership and organizational development for students. Ali has a Bachelor of Arts in Psychology with a minor in Philosophy from the American University of Beirut. During his time as a student, Ali served on seven student club cabinets and was elected into the highest house of student government. Upon graduation, Ali was awarded the Penrose Award, the most prestigious of awards on campus. Having always identified as a Fine Artist, Yasmina focuses her energy on enabling others to understand and appreciate all forms of art. From teaching music to training stand-up comedians, she strongly wishes to create a platform where art can be understood, expressed and studied. 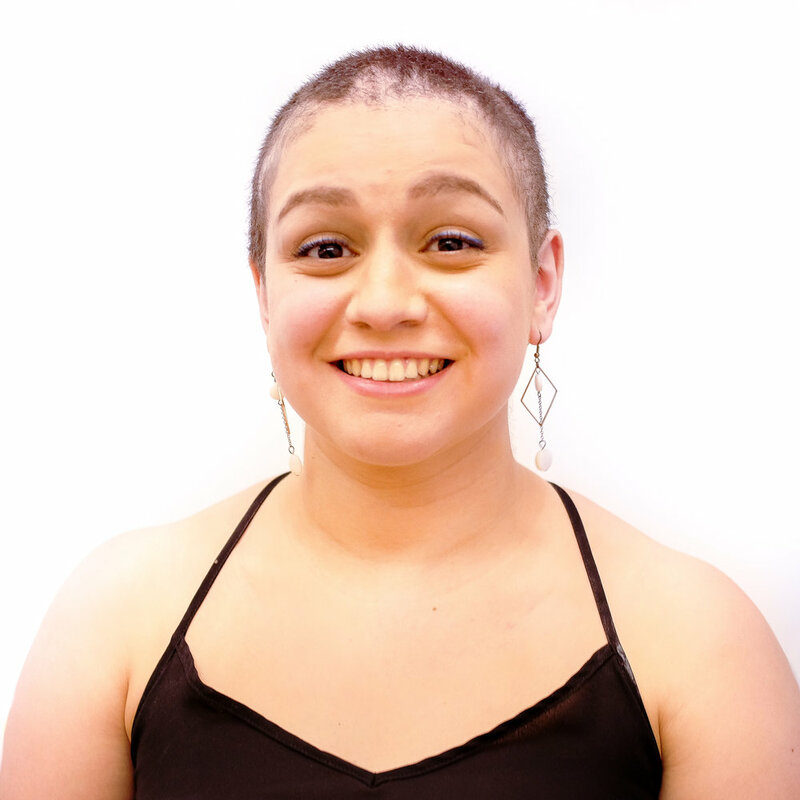 Yasmina studied Musicology in Davidson College, North Carolina in 2015. She is currently studying Studio Arts at the American University of Beirut with a minor in Theater. She is founder and president of the Artist Society of AUB. Upon her graduation, Yasmina was awarded the Presidential Award of Academic Excellence, the Fine Arts Award, and the National Honor Society Certificate of Merit. While studying in North Carolina she was rewarded the J. Estes Millner Scholarship of Music that allowed her to pursue her studies.